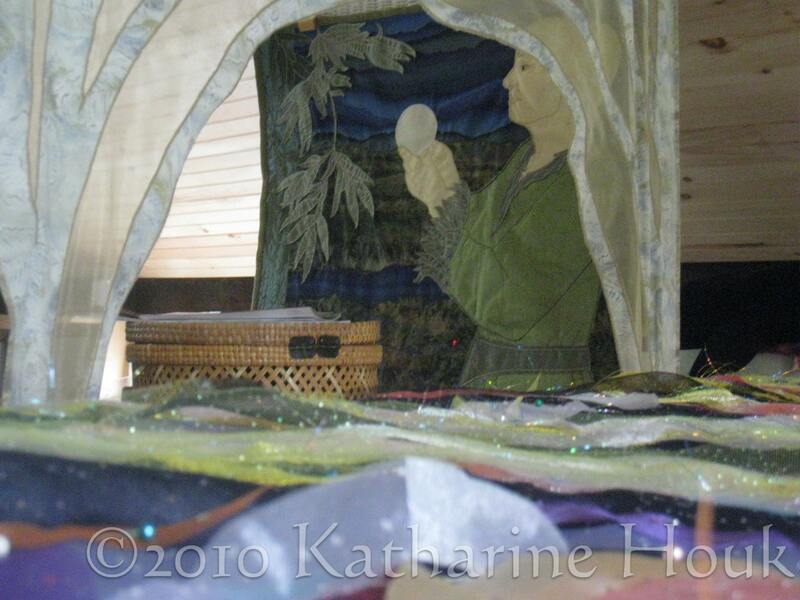 Cosmic Temple in process in the foreground, with Moonrise With Willow visible through the fabric archway window. This photo was taken in my new workspace. This entry was posted in Art, Cosmic Temple, Fiber Art, Fine Crafts, For the Wall, Sewing, Studio, Textile Art, Workspace and tagged Cosmic Temple, Fiber Art, Fine Crafts, Studio, Textile Art, Workspace by Katharine. Bookmark the permalink.